It’s December 1, and we’re already heavy into the winter beer season. I usually start buying my winter 12 packs around Thanksgiving, and we enjoyed the Sam Adams Winter Classics 12-pack with our turkey in 2010. Now Beth was quite disappointed at the news that Cranberry Lambic was no longer part of the Winter Classics line-up…until we heard that they are now selling the Lambic by the six-pack! It’s been years since we’ve seen Cranberry Lambic in the six-pack, so I bought a case when I found it at Total Wine and More in McLean, Virginia. We’ve enjoyed this beer since the Blizzard of 1996 and it’s great to see it back on the shelf. The Chocolate Bock is a great addition to the Winter Classics line-up. 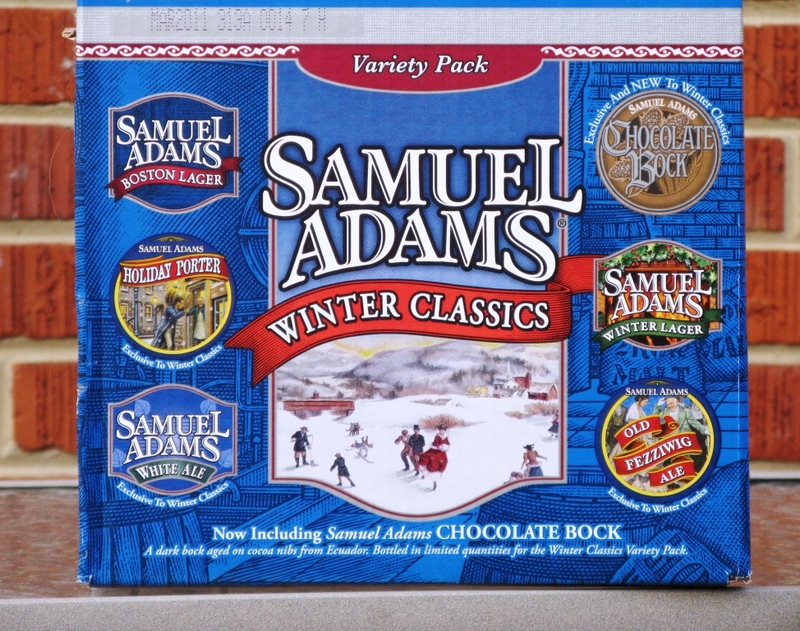 According to the Sam Adams web site, Chocolate Bock is aged on a bed of rare dark cocoa nibs from Ecuador. This rich beer has a delicious chocolate flavor profile. So, apparently there is a debate now between Cranberry Lambic and Chocolate Bock. You know the Sam Adams commercials with the George Thorogood cover of Who Do You Love? Well the Boston Beer Company wants to know Who Do You Love – Cranberry Lambic or Chocolate Bock? Vote for your favorite style on their Facebook page. The beer I am drinking as I write this blog: Sweetwater IPA, Sweetwater Brewing Company, Atlanta, GA.